1. Чазова И. Е., Ощепкова Е. В. Борьба с сердечно-сосудистыми заболеваниями: проблемы и пути их решения на современном этапе. Вестник Росздравнадзора. 2015; 5: 7–10. 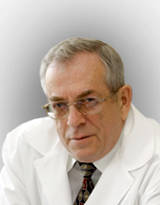 Chazova I. E., Oshchepkova E. V. Fight with cardiovascular disease: problems and ways to solve them at the present stage. Bulletin Roszdravnadzor. 2015; 5: 7–10. [In Russ.]. 2. Windecker S., Kolh P., Alfonso F. et al. Guidelines on myocardial revascularization: The Task Force on Myocardial Revascularization of the European Society of Cardiology (ESC) and the European Association for Cardio-Thoracic Surgery (EACTS). Eur. Heart. J. 2014; 35: 2541–2619. 3. ACC/AHA 2004 guideline update for coronary artery bypass graft surgery: summary article. A report of the American College of Cardiology/American Heart Association Task Force on Practice Guidelines. J. Am Coll Cardiol. 2004; 5:213–310. 4. Santos A. et al. Results of staged carotid endarterectomy and coronary artery bypass graft in patients with severe carotid and coronary disease. Annals of Vascular Surgery. 2012; 26 (1): 102–106. 5. Чернявский А. М., Караськов А. М., Мироненко С. П. и др. Хирургическое лечение мультифокального атеросклероза. Бюллетень СО РАМН. 2006; 2: 126–131. Chernyavsky A. M., Karaskov A. M., Mironenko S. P. et al. Surgical correction of multifocal atherosclerosis. Bulletin SB RAMS. 2006; 2: 126–131. [In Russ]. 6. Salasidis G. S., Latter D. A., Stenmetz O. K. et al. Carotid artery duplex scanning in preoperative assessment for coronary artery revascularization. J. Vasc. Surg. 1995; 21: 154– 161. 7. Venkatachalam S. et al. Contemporary management of contaminant carotid and coronary artery disease. Heart. 2011; 97 (3): 175–180. 8. Бендов Д. В., Наймушин А. В., Баканов А. Ю. и др. Одномоментная каротидная эндартерэктомия и коронарное шунтирование у пациентов с двусторонним поражением сонных артерий. Артериальная гипертензия. 2009; 4: 502–506. Bendov D. V., Naimushin A. V., Bakanov A. Yu. et al. Simultaneous carotid endarterectomy and coronary artery bypass grafting in patients with bilateral carotid arteries. Arterial hypertension. 2009; 4: 502–506. [In Russ.]. 9. Ricotta J. J., Wall L. P., Blackstone E. The influence of concurrent carotid endarterectomy on coronary bypass: a case-controlled study. J. Vasc. Surg. 2005; 41: 397–401. 10. Naylor A. R. Does the risk of post-CABG stroke merit staged or synchronous reconstruction in patients with symptomatic or asymptomatic carotid disease? J. of Cardiovasc. Surg. 2009; 50 (1): 71–81. 11. Naylor A. R., Cuffe R. L., Rothwell P. M., Bell P. R. A systematic review of outcomes following staged and synchronous ca-review of outcomes following staged and synchronous carotid endarterectomy and coronary artery bypass. Eur. J. Vasc. Endovasc. Surg. 2003; 25: 380–389. 12. Venkatachalam S. et al. Contemporary management of contaminant carotid and coronary artery disease. Heart. 2011; 97 (3): 175–180. 13. Ogutu Р., Werner R. Should patients with asymptomatic significant carotid stenosis undergo simultaneous carotid and cardiac surgery? Interact. Cardiovasc. Thorac. Surg. 2014; 18: 511–518. 14. Song Y., Kwak Y. L. Respirophasic carotid artery peak velocity variation as a predictor of fluid responsiveness in mechanically ventilated patients with coronaryartery disease. Br. J. Anaesth. 2014; 113: 61–66. 15. Boulanger М., Camelière L. Periprocedural Myocardial Infarction After Carotid Endarterectomy andStenting: Systematic Review and Meta-Analysis. Stroke. 2015; 46: 2843–2848.